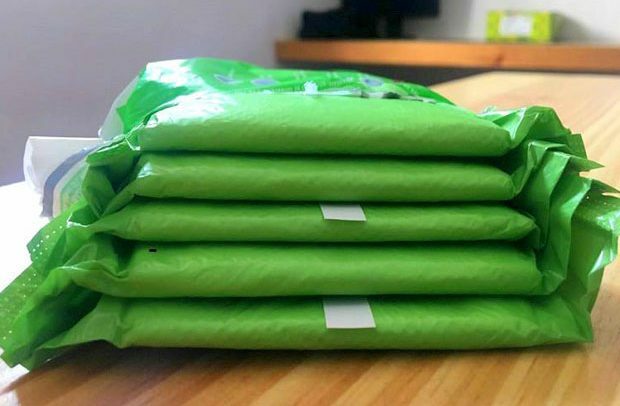 An assortment of sanitary pads has hit the Ghanaian market, some of them suspected to be responsible for health conditions users of the products are suffering. With no Ghana Standards Authority (GSA) seal of quality on them to assure users of their quality, many are wondering just how the products came to be rubbing shoulders with the certified ones already on the market. Further checks have showed that they are relatively cheap, hence their overwhelming patronage. A few of the products bear fake GSA seal of quality to hoodwink unsuspecting users into patronizing them. With the smartness of their smugglers, the products appear to have won the hearts of some health workers who might have compromised themselves and, therefore, supporting its patronage. The use of these products which leave minute particles in the private parts of women is on the rise in the regions where users hardly look out for the seal of quality. DAILY GUIDE has found out that the products find their way into the country through our porous frontiers, with a frightening frequency activity facilitated by state agents who compromise themselves. When the Public Relations Officer (PRO) of the Food & Drugs Authority was contacted, he said a company brought the product for certification which was taken to the lab for tests to be carried out. He added that the lab results showed that its product had a problem with absorption and was, therefore, not up to the standard of the Authority. “It was therefore rejected; we did not approve it to be on the market,” the PRO indicated. “The only problem we had was with the absorption. All the claims cannot be substantiated because the FDA has not put anything of that nature out on the market in the first place,” he said. The company has earlier been sanctioned by the FDA for putting an unregistered product on the market. A cabal is thought to be behind the influx of the seemingly substandard products whose elimination can only succeed through a collaborative operation between the FDA, GSA and the law enforcement agency. The intervention of the Nurses and Midwifery Council (NMC) would also be a step in the right direction.